We’re keeping our fingers crossed for good weather this weekend and looking forward to some fun events. Start things off right by attending Ipswich Museum Pub Night, co-sponsored by Ipswich Ale Brewery, from 6:00 to 10:00 on Friday night. There will be beer, pub fare, raffle prizes, and live music by Orville Giddings. On Saturday from 2:00 to 5:00, Busa Wine and Spirits in Salem is holding its 10th Annual Spring Welcoming Party. Taste wine, beer, and/or spirits while listening to swing music, and enter a raffle to win a Heineken BeerTender. 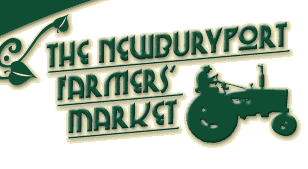 On Sunday, the Newburyport Farmer’s Market opens, and they have Frequent Farmer cards available this year. When you purchase $5 worth of farm product at one of the participating booths, you will receive a card. For every $5 worth of produce, fruit, meat, fish, or plant products you purchase from that farmer, you receive a stamp. When you accrue 10 stamps, you’ll receive $5 worth of product from that booth. Also on Sunday is the Pajama Brunch at Cafe Polonia. They’re serving lunch and brunch menus from 10:00 to 4:00, and you get 10% off your check if you wear your jammies. Starting at 3:00 on Sunday, the folks at Chive Catering will be serving up local pork, local beers, and local music at the Cox Reservation in Essex. 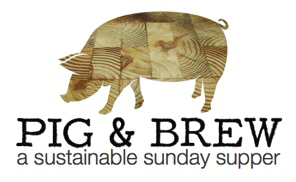 Sip beer while exploring the salt marsh farm and listening to Boston band Qwill, then enjoy a five-course supper celebrating a recently dressed and cured Maine pig. Tickets are $100 each or two for $175, and all proceeds go to the Essex County Greenbelt Association. Last but not least, there’s still time to reserve a spot in the From Scratch Pasta Class, at 62 Restaurant and Wine Bar in Salem. Sunday night at 6:00, Chef Bettencourt will walk student-diners through the pasta-making process, including the techniques behind making wonderful shapes and regional varieties. Guests will finish the evening with a three-course dinner featuring a choice of starter, a full pasta tasting, and dessert. The class is $55, and reservations are required. Call (978) 744-0062. The unstoppable Joey C from Good Morning Gloucester gives us his scoop here. The wonderful Jane Ward, who has just published her second novel (hurrah!) has some great ideas over at Food and Fiction. Thanks for the tips! And don’t forget that some of the North Shore’s best farm stores are awaking from their winter slumber this weekend: Connors (Danvers), Marini’s (Ipswich), Green Meadows (South Hamilton), and Russell’s Orchard (Ipswich). Those are some of my favorite weekend destinations!